More skyscrapers were constructed in London last year than ever before, with 26 opening their doors and 455 more in the pipeline, according to new industry research. 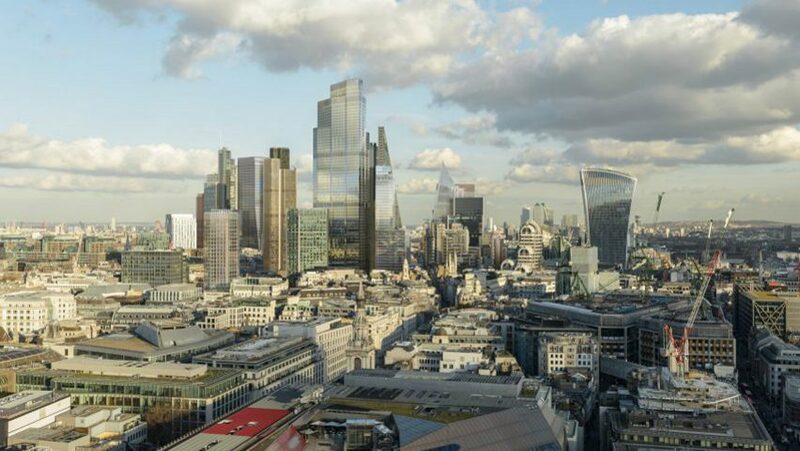 The figures come from the London Tall Buildings Survey, which charts the number of towers of 20 storeys or more completed, proposed or currently in planning across the capital's 33 boroughs in 2016. Now in its fourth year, the report pulled together by the New London Architecture (NLA) and property consultancy GL Hearn shows that while the number of planning applications for tall buildings has stalled – down 30 per cent from 2015 – more than ever are making it off the drawing board. Last year, London saw the completion of 26 tall buildings, more than double the number recorded in 2015's survey. Of these, 24 are residential blocks. Work also began on 48 tall buildings, an increase of 68 per cent on the 29 that began in 2015. The report shows there are 455 skyscrapers currently in the pipeline across the capital, up marginally from the 436 reported in 2015's survey. Construction is now underway on 91 of these, while 256 have been granted planning permission, 63 submitted for consideration and 45 are at pre-application stage. While many industry figures have spoken out against the growing number of towers appearing across the capital, the NLA believes they are the answer to London's housing crisis, with the current crop estimated to provide up to 100,000 extra homes. "The survey findings also demonstrate that tall buildings continue to play a hugely significant role in addressing London’s housing need," said NLA chair Peter Murray. "Without doubt, tall buildings have a role to play in London and the forthcoming London Plan will include clear guidelines to help ensure they are built in suitable areas, make a significant contribution to the skyline and, where they include new homes, help ease the capital's housing crisis." The report points to several hives of activity, with 77 towers in the works in the borough of Tower Hamlets, 68 in Greenwich, 37 in Southwark and 33 in Hammersmith and Fulham. In terms of built schemes, Tower Hamlets again outstripes all other London boroughs, seeing the completion of eight highrise blocks in 2016. The report anticipates acceleration will continue, with 28 tall buildings forecasted for completion this year, and 40 in 2018 – showing little disruption to the market from Brexit as yet. "The picture that this survey presents is a wholly positive one given recent market disruption," said GL Hearn planning director James Cook. "The time it takes to bring forward tall buildings however means that any impacts on planned investments may not be seen immediately and the markets' response during the course of this year will be fascinating." Among the skyscrapers to complete so far in 2017 is SOM's 117-metre-high Lexicon in Islington, while Eric Parry's 73-storey tower in the City is set to commence having received approval from planning authorities at the end of 2016.